Thought you might enjoy seeing how Lexie is fitting in beautifully with her new family. 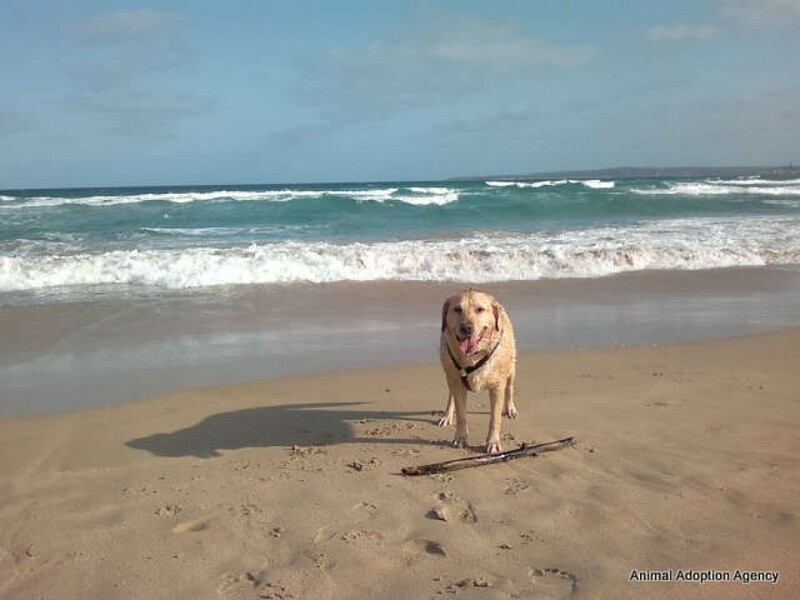 As you can see she has the perfect beach nearby to chase that stick or just tear around in the surf. She has found the lounge! but has the best manners and only got up after being invited to. she is a gentle soul and much loved, loves to lie under your chair or nearby. Enjoys having a run and playing with two other Labrador friends, Charlotte and Claudious. Riley the Burmese has come to an agreement and the friendship grows every day. She loves chasing the ball, sqeaky toys etc and again with perfect manners. We congradulate the person who put in all that effort in training Lexie as they have done a wonderful job. She is building in her confidence when she has to stay at home by herself (not often) as everyday she has Jim for company and walks. We are so happy to have come out that day to meet Lexie and take her home with us and we are sure Lexie is too as we can see she is very settled and happy.